is at the heart of Laydilay since we started farming in 2004. We passionately believe that by focussing on the hen from chick to re homing at her retirement, she will look after us. We sort, pack and deliver our grade I eggs to local retailers, caterers and restaurants; our grade II eggs are used to hand make our organic meringues, mayonnaise and macaroons. 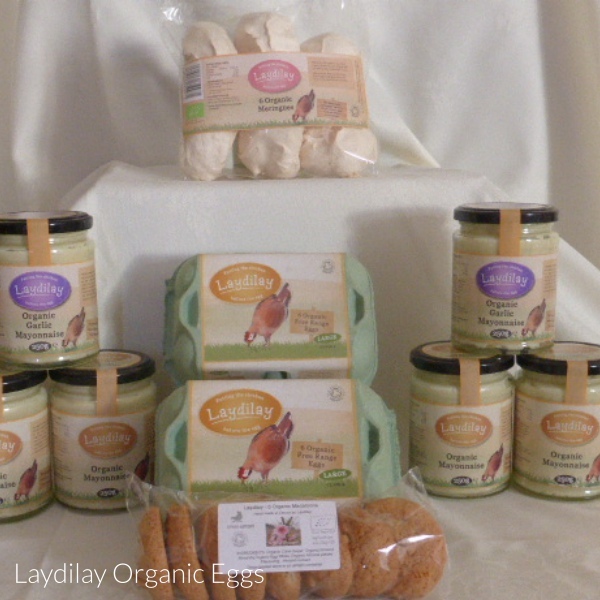 We are proud that no eggs are wasted and the end products are truly delicious, using the finest quality ingredients.